Paperless charting at Complete Comfort Dental means more efficiency and more accuracy. An office that has "gone digital" records x-rays and charting with the aid of the computer and keeps all patients' dental records electronically. Additionally, it cuts back on paper use. Information can be lost in translation from doctor to hygienist to assistant with traditional paper charting. Even handwriting differences and coding make the charts look different. 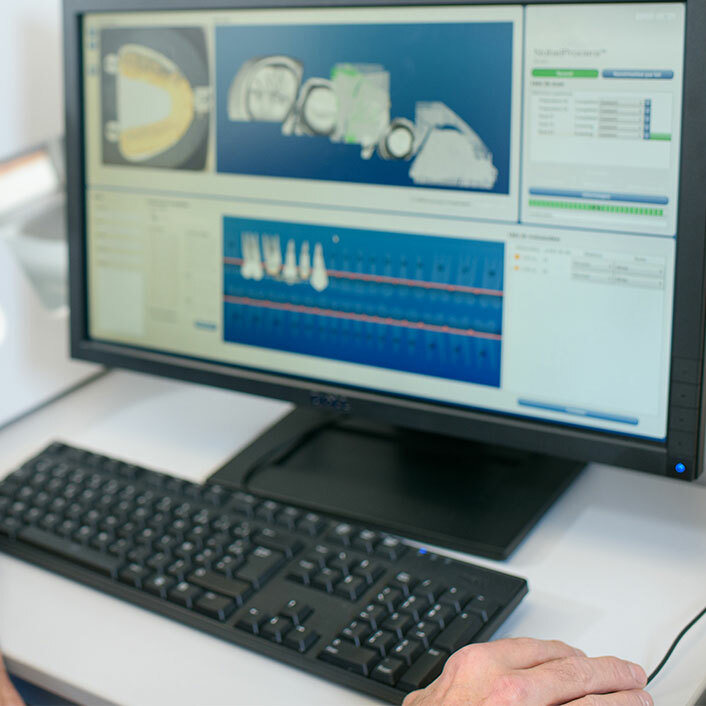 The computer eliminates this problem by standardizing charting methods, making it easy to understand dental charts, view up-to-date information and keep records accurately. When needed, this method also allows dental offices to more easily share information with other healthcare providers.